And once again here's the six-petaled flower we love to use! 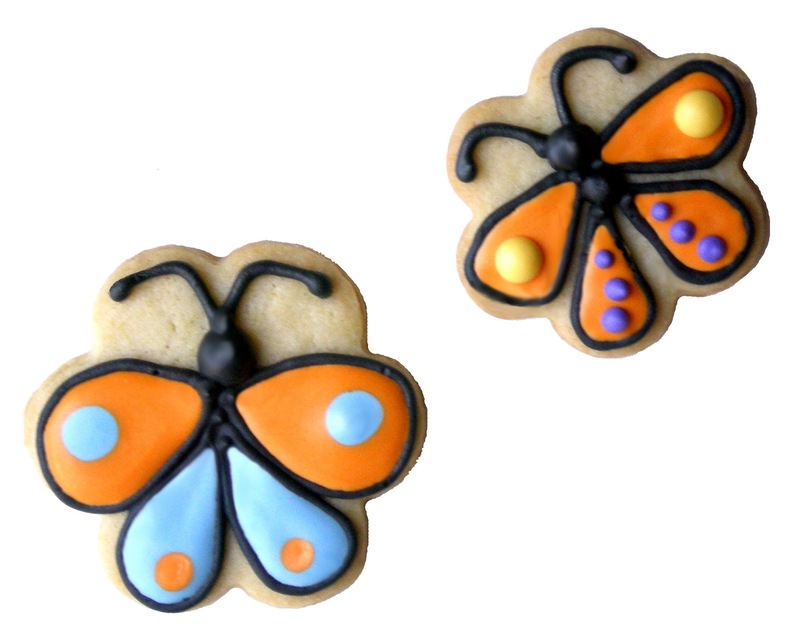 One time when Jill and I were making flowers and butterfly cookies and I was talking about Sugarbelle and how she is a wizard at turning cookie cutters into something else - Jill took some of the flower cookies we'd baked and turned them into butterflies - perfect! Good job, Jill! Other butterflies we've made can be found here.